Forget horror movies: the western has been declared “dead” more times than a Batman villain. It’s obsolete, or forgotten, we’ve been told time and time again. And yet every single year we get more of them, Oscar contenders and genre thrillers alike, with this weekend’s ambitious remake of The Magnificent Seven representing the most ambitious entry in a while. An audience-friendly, unapologetic throwback to western adventure, with an all-star cast and horse stunts galore. And although the new Magnificent Seven is a pretty good film, it’s not the best western ever. Which of course begs the question, what is? 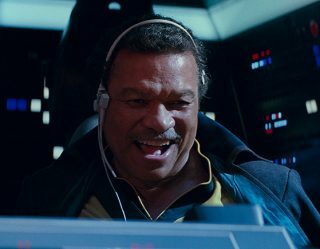 We asked our panel of film critics – Crave’s William Bibbiani, Legion of Leia’s Witney Seibold and Collider’s Brian Formo – to each present their own pick for the pinnacle of the genre. And as usual, they couldn’t agree on a thing, singling out very different movies throughout the history of the genre (and none, controversially enough, from Sergio Leone or Clint Eastwood!). Find out what they picked, and come back next Wednesday for another all-new, highly debatable installment of Crave’s The Best Movie Ever! Stagecoach wasn’t the first western, but it was THE western. The genre would had already been around for decades, and would eventually go through multiple revisionist periods as filmmakers decided to emphasize the violence, racism and sexism of the period. But when people talk about revisionist westerns they should probably be remember that John Ford’s thrilling adventure was pretty much what they were revising (although to be fair, Ford had already revised it himself with The Searchers in 1956). A great cast of characters, a simple yet exciting premise, wonderful action and a young John Wayne, in his masculine prime. Stagecoach is the ultimate western, at least before filmmakers started to question the whole genre, and give us a different breed of classics like A Fistful of Dollars, Django and High Plains Drifter. 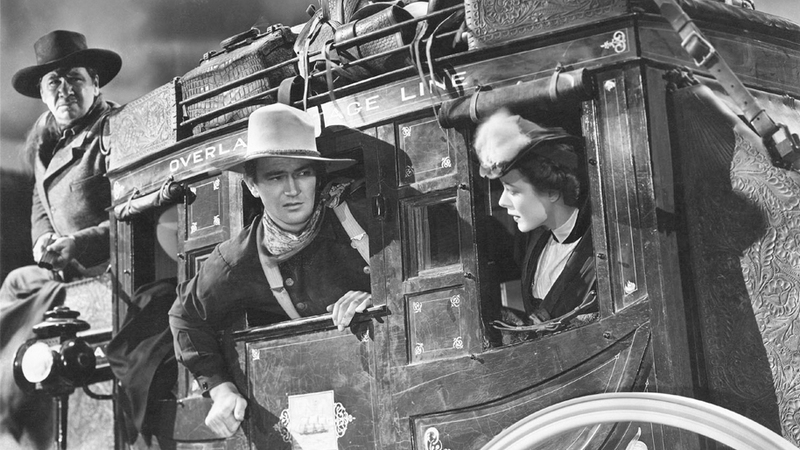 But to fully understand those brilliant films, you have to understand what they were rebelling against, and Stagecoach – wonderful, thrilling Stagecoach – is that film, the best (old-fashioned) western ever. I love a neo-Western. A neo-Western realizes that the bravado of the classical Western is too simplistic. Neo-Westerns understand that town-building, bank robbing or cattle ranching were all equally hard work; and the men and women on each side of the law were equally hard. Many of the people who went West were thrill-seekers or struggled out East. The railroad pathed an expressway to both greed, adventurism and vice. Strangers cast a long shadow. And good vs. evil was never easily defined. 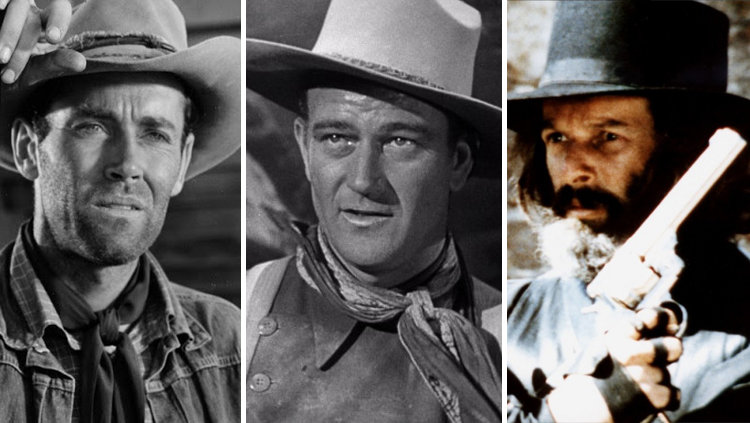 Classical Westerns most frequently had noble sheriffs, savage Natives and hardass bandits with no redemption. So for the best Western of all time, my initial thought was to go neo. But that is a distinctly different category. And the prompt this week, Magnificent Seven, was originally a classic Western adaptation of Seven Samurai and its remake is also very classical. But it should come as no surprise that my pick for the best Western still has that gray area of justice that the neo-Western later perfected. It’s William A. Wellman’s The Ox-Bow Incident. The Ox-Bow Incident shows the lack of societal rules that blurred the lines in the West. Two drifters (a fabulous Dana Andrews and Anthony Quinn) pass through town with some cattle. 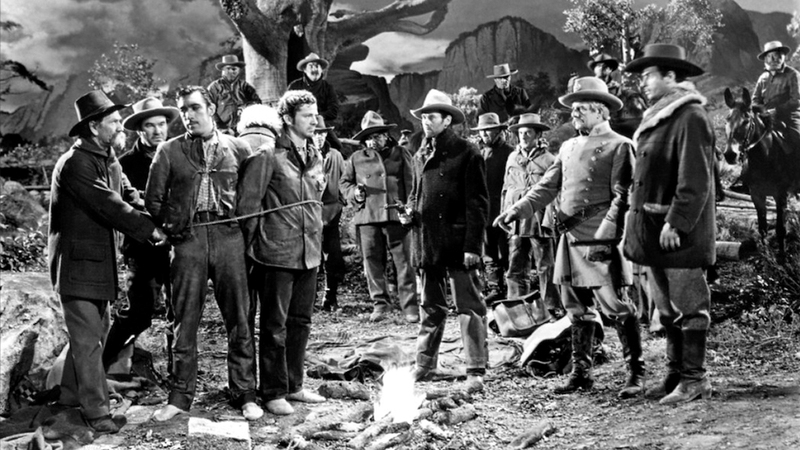 The townspeople (led by Henry Fonda) hear that a nearby rancher had been murdered and his cattle were stolen. So the men in town follow the drifters to their campsite and hold a makeshift tribunal to determine whether or not to hang them that night at that very spot. The Ox-Bow Incident was not based on a play, but it’d make a great play: the actors get great moments, the setting is largely confined to one place (with the threat of a hangin’ tree looming behind), and there are heavy themes of trust, honesty, bloodlust and the horrors of rushing to judgment. For 1943, it was ahead of its time. It was a great Western then, and it makes for a great neo-Western now. 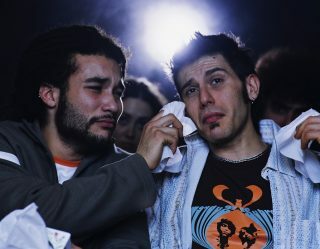 Although all critics attempt to be experts in a wide variety of genres, international films, and filmmaking techniques, many of us still have enormous holes in our education. These holes form largely from the sheer volume of the world’s cinematic output; no one critic can be expert in every single type of movie. However, these holes can also form out of personal taste. Some very classy and well-regarded critics, for instance, dislike slasher movies (Roger Ebert referred to them derisively as “dead teenager movies”). I have attempted in my life to at least sample pieces of every notable filmmaker, every notable genre, every notable highlight in cinema history. My own personal taste, however, has led me directly away from that greatest of all American institutions: the western. That paragraph, then, must serve as my apologia for my choice for the best western ever, as well as an ashamed admonition that my consumption of the genre’s classics remains incredibly thin. I have yet to see films like Unforgiven, Once Upon a Time in the West, and High Noon. I actively dislike Shane and The Searchers. And I have a fiery hatred for Butch Cassidy and the Sundance Kid (although that hate may rest entirely on the shoulders of Burt Bacharach and “Raindrops Keep Fallin’ on My Head,” quite easily one of the worst pop songs ever written). I prefer my westerns to take place in a far-off, psychedelic miasma of spiritual deconstruction where gunfighters become swamis, and the world is a stage. 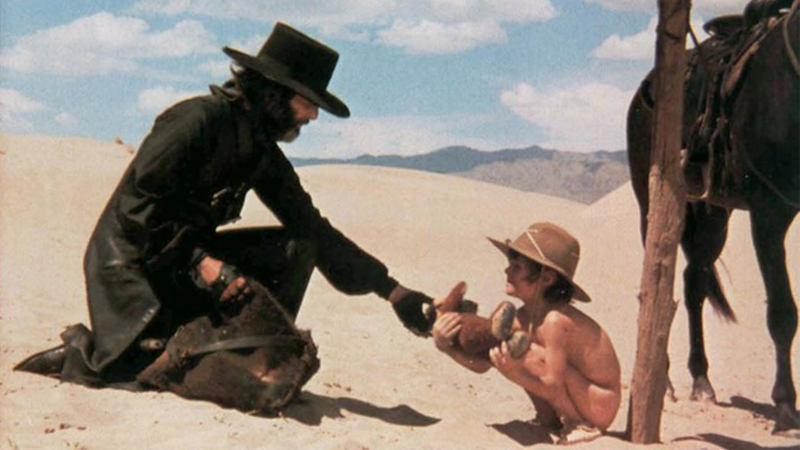 The best western I have encountered is likely Alejandro Jodorwosky’s acidic trip El Topo. El Topo was released in 1971, and is often billed as the very first midnight movie. I follows the misadventures of a gunfighter (Jodorowsky himself) who wishes to best the local gunfighting masters. The masters are all religious analogues of some sort. The gunfighter’s girl leaves him for another woman. He realizes that his violence is deteriorating the landscape. He goes into hiding underground. He becomes an ascetic monk, living among deformed outcasts. 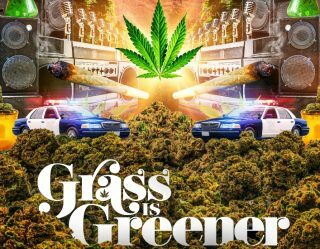 The film is largely a journey out of violence and into peace, and the tragedy that can strike when that happens. It also might serve as a comment on the way westerns notoriously taught violence to a 1940s American film audience, and how pacifism needs to, necessarily, take its place.